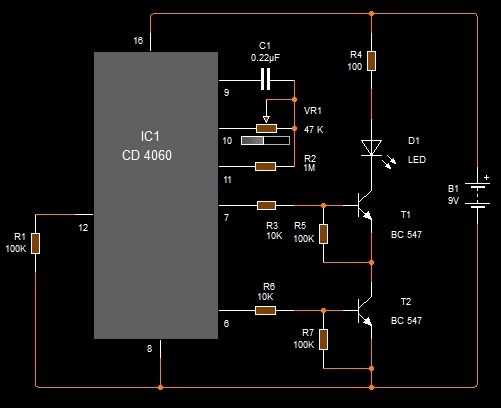 You can use this Flashing LED light for Projects, Model vehicles, Toys etc. It blinks in a peculiar fashion with bursting flashes. 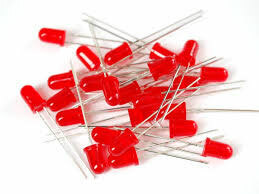 LED is a wonderful semiconductor without which a circuit is generally incomplete. 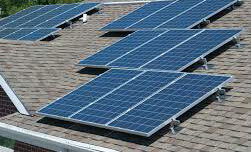 LEDs are used mainly as indicators to show whether the output of a particular section of the circuit is working or not. 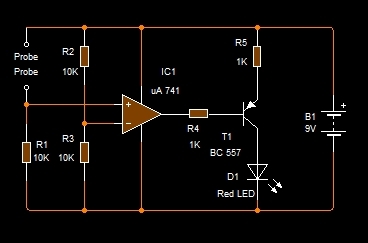 Let us see some simple circuits using LEDs that you can try. 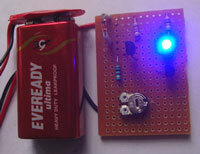 You can make a simple LED Chaser circuit using only a few components. Try it and enjoy its working. 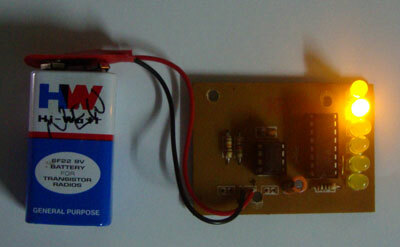 This is a simple but useful LED flasher that can be used as power on indicator or along with alarms. Simply you can use it as a Mock Alarm in the gate or door to baffle the intruders. Do this very simple circuit and it can be an evening project for you that take only 10 minutes to complete.